Sensuous PetMe™ Mink Euro-Top Cover! The 7500 features a fabulous PetMe™ Mink high profile Euro-Top with a 3" layer of technologically supportive Memory-Cell - a heat and weight responsive material that will memorize to your back and body to relieve pressure and support you in space-like suspension that's both relaxed and natural. 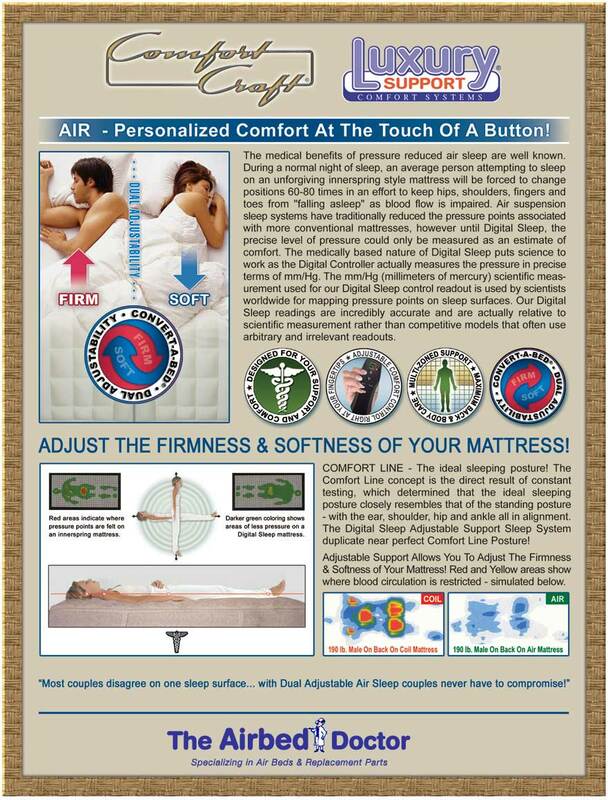 In addition to comfort layers of Quiltflex™, supersoft foam and ultra plush fiber, the 7500 includes Multi-Zoned support for maximum back and body care. All of this in the latest Tuscan colors and fashionable materials! Includes: Vulcanized Chamber, Vulcanized Foam Comfort Topper. Premium Performance and Ultimate Sleeping Comfort Featuring the latest in naturally derived wellness materials for discriminating sleepers who want the absolute best possible sleep experience! Designed to restore your body as well as your spirit the Comfort Craft line is the ultra-luxury sleep sensation redefining luxury, elegance and comfortable support. Luxurious PetMe™ Mink Belgian Stretch Knit Cover. 3" of Memory-Cell - body, weight, shape and temperature responsive material. 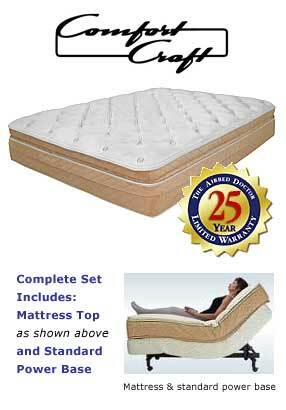 Sophisticated high profile Euro-Top design pillowtop. Pressure regulating supersoft foam and a layer of ultra plush fiber. Impression reducing Quiltflex™ for Soft as Silk and Tough as Nails Utility. Removable, refreshable Smart Top and a fashionable Suede side panel border. Power Edge for largest sleep area • Griptite non-skid bottom • Posture Grid Multi-Zone support. Elegant Tack & Jump Quilting and a Healthy Sleep Moisture Barrier • Hypo-allergenic Breathe-Easy fabrics. Meets and Exceeds flammability standards.